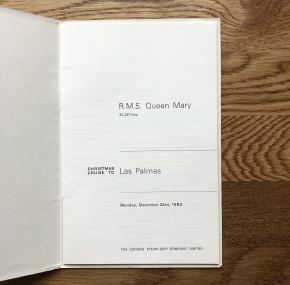 A passenger list for the Queen Mary’s Christmas cruise to Las Palmas. Christmas day was at sea, and the ship arrived in Las Palmas on Boxing Day after traveling 1526 one way. 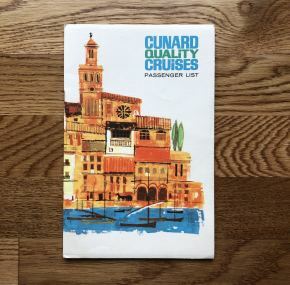 Interestingly, despite the distance traveled, she was only in Las Palmas for one day, sailing the evening she arrived. Lots of general ship information along with the list of passengers. Captain Divers in command.